Okay, I know that some of you have been requesting a card table playhouse tutorial. Since I basically figured it out as I went, I didn’t take pictures along the way, and since there’s lots of different ways to make the playhouse depending on what you want it to have, I thought we could compromise and I will do a “tutorial-ette”. If I were to do it over again I would also do some things differently, so here are my thoughts and tips for the whole thing. First, here are some pictures of the inside and outside that I did not post earlier. Inside back wall (flap covers secret porthole). I used a full sized sheet set for the fabric. It was enough for everything other than the roof, for which I just used a brown broadcloth. I lined the entire playhouse, but my friend Jenn made one with a heavier fabric that was not lined and I think she said she used almost 4 yards of 60″ wide fabric. Please correct me if I’m wrong, Jenn! Very important: know what size of card table you will be using before you sew the playhouse. I made this mistake (Google has never led me wrong before). Apparently the cheaper tables at Walmart and Target are closer to 34″ around the top instead of the 36″ that more expensive tables tend to be. Luckily I figured this out before I had the sides sewn to the roof so I just had to take them all in an inch. Measure the top and side lengths and widths of the table and add one inch to each measurement. For example, my table was 34″x34″ on the roof and 34″x29″ on the sides. I cut (or should have cut, if I knew my correct dimensions before I started cutting and sewing) one 35″x35″ piece for the roof and 4 35″x30″ pieces for the walls. Remember you will need to also cut those pieces out of your lining fabric if you choose to line the playhouse. Adding the one inch will allow you 1/2″ seams. After you cut your pieces out, complete each wall with any embellishments you wish before you sew the walls together. Cut out your windows and door, add your curtains and door panel, and any pockets. Otherwise you’ll later be working with a lot of fabric at once. The only exception to this rule that I used is that I did not finish the window openings with bias tape until the very end so that it would be a cleaner finish. Once your walls are individually completed, you can sew the 4 walls together at the side seams. Note: if you are lining the playhouse, do not sew the lining walls together exactly the same as the outside. The two walls adjacent to the front wall need to be reversed. Otherwise when you sew the lining to the outside walls those two walls will be switched. I know that sounds confusing, just trust me, once again I learned that tip by my own error :). It will make more sense when you read about how to sew the lining to the outside. Next sew the side seams to the roof. I rounded the corners on the roof slightly so they would sit nicer on the card table and not poke out. If you are not lining the project, you can hem the bottom of the playhouse and you should be done. Remember that without lining you will want to make sure your edges are finished nicely since they’ll be visible from the inside of the playhouse. If lining the playhouse, after the roof and wall are sewn together, match the two pieces wrong sides together. Stitch around the entire bottom raw edge (I also stiched around the door opening that I had cut out), leaving a 8-12″ opening. Trim around any corners and pull the right sides through the opening, turning everything right side out. Press around the lower edge and topstitch around the entire bottom and door opening. If you decide to finish the windows with bias tape, you can do this now. If you have square windows, it is a lot easier to iron the corners into the bias tape before sewing it onto the playhouse rather than as you go. Wow, that all sounded like it should have been a lot faster than it was when I actually made the playhouse. If I were to make another one, I would consider using a heavier twill or denim and skipping the lining. The nice thing about having it lined is any pockets or embellishments that you sew on the inside will not show stitch lines on the outside. I guess the ideal thing would be to use heavier fabric and line it as well, but it would definately cost a lot more to do. My SIL made one that makes me hate the one I made. Although I can say I did give her some ideas, she really took them to the next level and made an adorable playhouse! You gotta look at hers if you want to make a cute one. And if you do please send me the link. Anyway, she had the thought to put clear vinyl in the windows. The reason for this is that if your children are pretty young still like Wyatt is, they prefer to use the windows as doors instead of the actual door. Plus, they can hang on the window and have more fun, so why would they use the door?! The vinyl would prevent this from happening but still let light in. Just an idea. 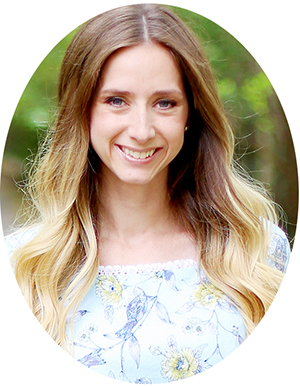 With all of my babies, my nursing cover was one of my most-used and most appreciated items. They make the perfect gift for a new mom, and can be whipped up in no time! A stylish and practical nursing cover. The dimensions are slightly larger than most nursing covers, which gives added coverage and less chance of someone getting an uninvited sneak peek! 1. First we will complete the neck straps… Take 4.25”x10” strip of fabric and fold in half lengthwise right sides together. Stitch ¼” from edge along raw edges, forming a tube. Repeat with longer strip, but sew a curve towards the inner fold when you are reaching the last few inches of the strip. Trim seam allowance around curve close to the stitching line. 2. Turn each piece right side out and press flat with the seam going down the center of the strap. Topstitch ¼” from each edge on both straps. 3. Place shorter strap through D-rings, matching up raw edges. Stitch as close to the D-rings as possible, encasing them between the two layers of the strap. 4. On to the main body of the nursing cover… With your main body rectangle of fabric, fold and press upper edge (if your fabric has a definite pattern, ensure you know which side should be at the top!) ½” toward wrong side of fabric. This should be your 40” long edge. Fold and press again ½”. 5. Open up the folded edge and center the boning along the raw edge (I used black boning for demonstration purposes), with the boning curving away from you (sounds more confusing that it is… now’s a good time to take a look at the picture below). There should be 12” of the pressed edge on either side of the boning. Pin boning in place. 6. Stitch along upper edge of boning casing (depending on your boning, your stitching may need to be nearer the top edge). Stitch at either end of boning casing, ensuring that boning is completely covered by the casing. If needed, first trim 1/8” off of each boning end (plastic only, not the casing) to allow casing to completely cover the boning. This will assure OCD people like me that the boning will not move or poke through the casing or your fabric. 7. Allow the upper edge of fabric to fold over again the way it was pressed. With the right sides facing toward you, take each neck strap and tuck under folded edge, centering each strap at the edge of each end of boning. Pin in place. Stitch along lower edge of fold. 8. Press neck straps upward, away from the main body. Stitch along upper edge of main body, backstitching at edges of straps, securing neck straps in their final and upward position. 9. Fold and press lower edge of nursing cover ½”, fold another ½” and press again as was done with the upper edge. Stitch close to folded edge. Repeat with raw side edges. Note: If you would like to add an interior pocket that can also be used as a burp cloth, simply cut a right-angle triangle piece of terry towel or chenille the size you would like your pocket to be, allowing enough fabric for a hem on the top edge. Hem the top edge, sandwich the raw edges of the triangle between one lower side and the bottom pressed edges before they have been stitched, and stitch the pocket right into place while you sew the bottom and side edge. I have personally never needed a pocket because it seems I always have a big diaper bag with me anyway and a separate burp cloth, but it’s a simple step to add if you think you might like one! 10. Thread the long strap through the front of the D-rings and back out again through one on the underside. 11. You are done, great job! Give it away as a gift or keep it for yourself! Want to make a hip diaper bag that your friends will envy and you will love for both its style and its practicality? This diaper bag tutorial will make a bag that’s large enough to hold all your baby’s needs with room left over for your must-haves too! Features include being fully lined and spacious interior pockets that you can customize. Interior pockets can be made using lining fabric or exterior fabric for contrast. If you’re looking for a full diaper bag pattern complete with full sized printable pieces, check out our Airdrie Bag Pattern or Lola Bea Diaper Bag Pattern! 1. Iron interfacing to corresponding exterior fabric pieces on the wrong side of fabric including the main body and straps. Iron interfacing to magnetic snap closure tab pieces of lining and exterior on wrong side of fabric. 2. Right sides together, sew the 2 main body pieces of exterior fabric together at bottom seam and press open. Sew side seams and press open. At the opening where you cut the 4” squares, match and pin the bottom seams to the side seams and sew using a ¼” seam allowance. Press seams towards top of bag. 3. Mark placement of magnetic snap by measuring 4.5” from top center of bag and attach bottom half of magnetic snap using manufacture’s instructions. *Turn fabric right side out and place somewhere that you can see it when you are getting frustrated later on to keep you motivated (that’s why I always do the exterior first)! 4. Attach top half of magnetic snap to closure tab piece of lining. Right sides together, pin to exterior closure tab and sew ¼” seam, angling at corners if desired. Turn right side out and topstitch 1/4″ from edge. 5. Right sides together, pin and sew exterior fabric strap to lining fabric strap. Sew ¼” seam down each side, leaving ends open. Turn right side out, press, and topstitch along each side close to edge. Repeat for other strap. 6. Sandwich bias tape over top edge of interior pocket fabric and sew close to edge, forming a casing for the elastic. 7. Press 4-5 evenly spaced pintucks into bottom edge of interior pocket, until width of interior pocket is 20”. Stitch along lower edge to secure pintucks. Turn lower edge under ¼” to wrong side and press, turn another ¼” and press. 8. Thread elastic through backside of casing and backstitch at both ends to secure. Pin wrong side of pocket to right side of main body lining 5” from the top of the lining, matching up side edges, and topstitch two rows along lower pintucked edge. Stitch pocket to lining at sides. 9. Stitch vertical lines through lining and interior pocket to form individual pockets that fit your needs. 10. Repeat steps 6-9 using 2nd interior pocket and 2nd piece of main body lining fabric. 11. Complete lining of bag using step 2 above. 12. Right sides together, place exterior fabric main body inside lining main body, pinning at side seams. Sandwich closure tab on back center of bag (opposite of side that bottom half of magnetic snap was attached), ensuring that the exterior fabric right sides are facing each other. Sandwich outer edge of straps 3” in from each side seam, again ensuring that the exterior fabric right sides are facing each other. 13. 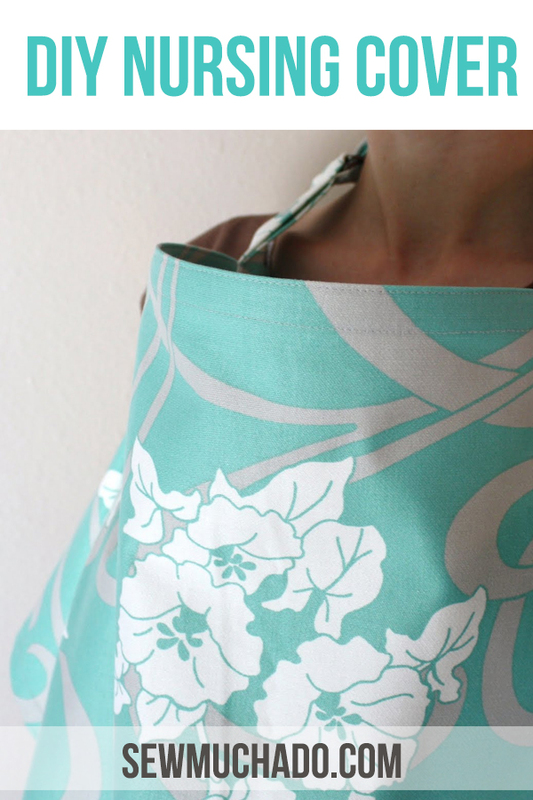 Leaving a 4-5” opening, stitch along upper edge of bag, through exterior fabric, lining fabric, straps, and closure tab. Turn bag right side out, trim seam to reduce bulkiness if needed, and press. Hand stitch opening of bag closed and top stitch 1/2″ from edge. Top stitch another row 1/4″ from top edge. 14. 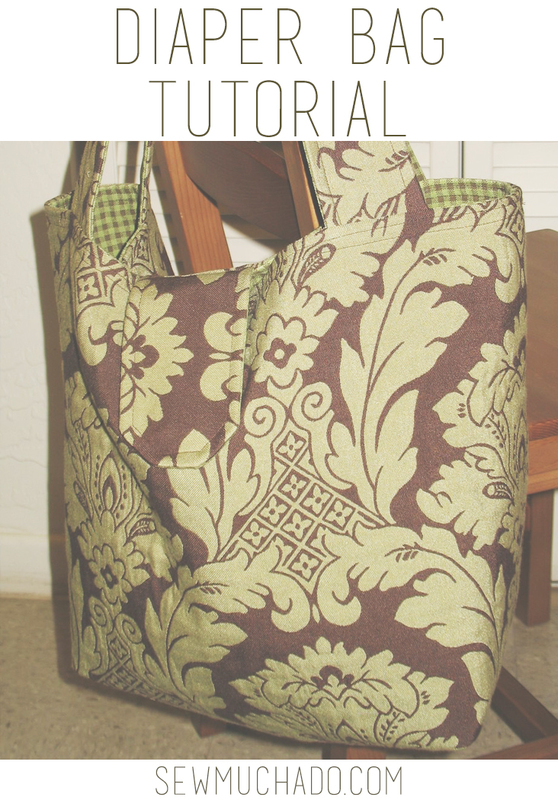 Take a good long look at your bag because you are finished this diaper bag tutorial, and can start filling it up!